Latest educational News reaching us today directly from the Jamb Office in FCT Abuja, is that the Joint Admissions and Matriculation Board (JAMB) has just released her 2016 Unified Tertiary Matriculation Examination (UTME) results. We're also informed, that the JAMB Management board, has however, withheld the result of 12,110 candidates for possible disciplinary action. According to the Registrar of JAMB in Nigeria, Professor Dibu Ojerinde, announced this at a news conference on the release of the results in Bwari, FCT, on Friday, the 3rd of May 2016. According to the JAMB registrar, he said that after thorough processing of answer scripts of the candidates who participated and sat for the JAMB 2016 examination, the JAMB board has discovered some forms of malpractice which was being perpetuated during the conduct of the JAMB examination. According to the JAMB Registrar, "the results of 68,309 candidates from various centres are undergoing further screening to ascertain the culpability of 12,110 candidates results." While a whooping number of 1,629,102 candidates sat for the screening exercise. Professor Dibu also said that the general performance of candidates in this year’s JAMB examination shows remarkable improvement, when compared to that of last year. The Prof. also said that "Ten candidates scored 300 marks and above, while a total of 127,017 candidates scored between 1-159 marks. He also said that up to 40,692 candidates results were invalid due to either multiple shading or no shading at all. After processing all the JAMB 2016 RESULT, the JAMB management board has also discovered that up to 47,974 candidates were absent. Jamb.sch.ng using their registration numbers. 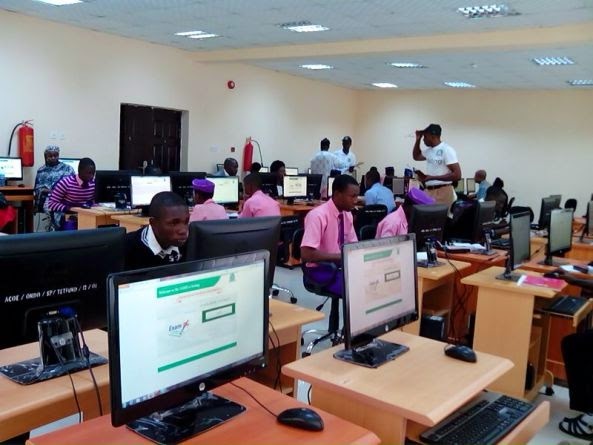 The JAMB Registrar, Professor Dibu also said that about 40 centres would be screened to ascertain their culpability and warned the public against Internet fraudsters. Information reaching JAMB management board, shows that some Internet fraudsters are already telling candidates that their results could be upgraded in one form or the other. This is pure deceit, so the public and candidates are hereby advised to disregard these fraudsters since they do not have access to our data, they can't do anything, please don't fall a victim. Let me once again state that candidates are allowed to change their choices of institutions and courses once only, this change has to be effected within two weeks, which starts from today, the 3rd of May 2016. The JAMB Registrar, Prof. Dibu Ojerinde also disclosed that the Computer Based Test (CBT) is scheduled to take place, starting from May, the 18th to 1st of june 2016. He also said that JAMB is appealing to candidates to reprint their e-registration slips again to further ascertain their CBT centres. Please share with Your friends on Facebook and twitter using the share buttons below.